A week ago, our hackathon team won some nice hover drones for using SecureDB's user management service as part of our app. Since their service completely eliminated the need to create and manage a secure user database (which is going to be very helpful for future rapid prototyped projects) I thought I'd document how it is done in Flask. Once you've signed up and followed their Quick Start, you'll have created a user and can test the authentication REST API. """Authenticate a user given the username and password. 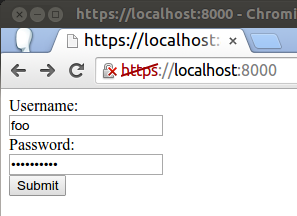 I've wrapped a Flask server around this to make it easy to enter a username/password and see the response. The source code is posted on Github. Successful authentication. Note that the "data" key has the user ID as its value. Failed authentication. The username entered was not one stored in the user database. Failed authentication. The password was entered incorrectly. We are facing constant growing of data amount in both the Web and personal computers. And the more information we need to proceed the more time it takes. That is why I think that vdr secure file sharing would be perfect for world’s needs today.